Brain Freeze is an established theme camp which began in 2004 at Burning Man in Black Rock City, NV. 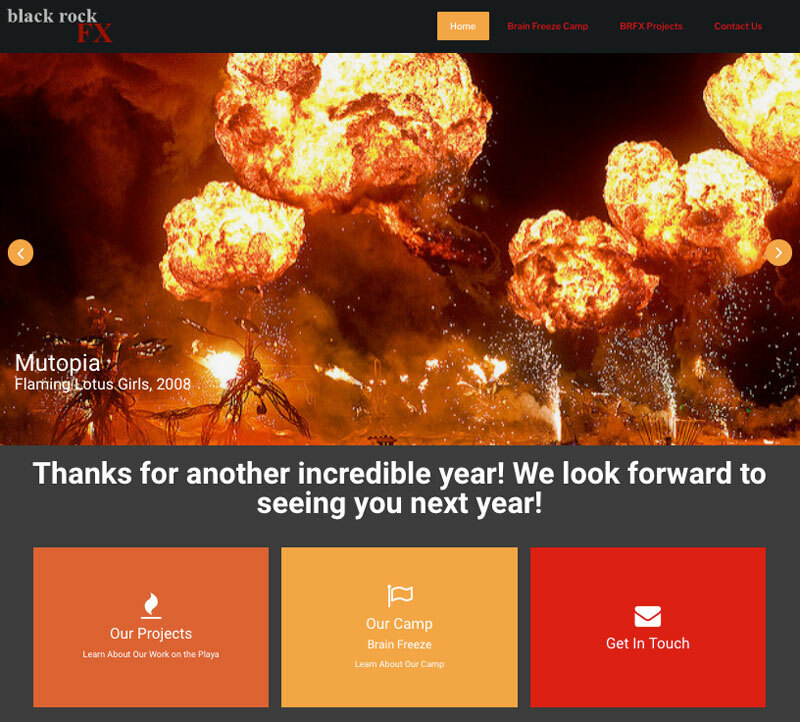 Black Rock FX is a group of special effects and fireworks volunteers which bring spectacular shows to the playa. The group is responsible for many of the spectacular shows throughout the event. This project featured a complete redesign of their web presence and online camper registration system. Previously, all camper registration was manually tracked through emails, phone calls and spreadsheets. With over 150 campers and 60 shelters, this was a massive undertaking for the camp leadership. The new website completely automated this process from registration through payment to reporting. Camper registration and online payment system. This system allowed for campers to register up to six people in their group. The form would dynamically recalculate the payment based on the selection in the registration form. 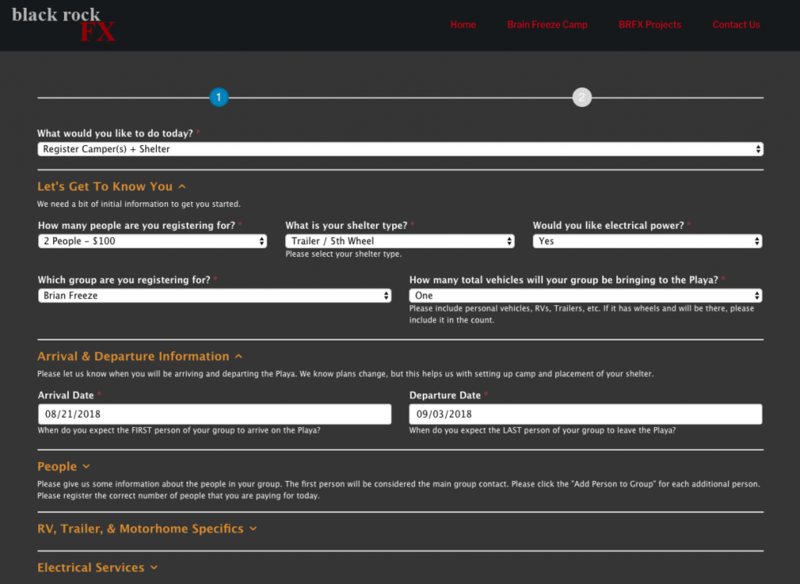 The camper registration form would dynamically update base on registration options. It would hide and expose registration options based on the user's prior inputs. This ensured that the user was only seeing the options that were relevant to their registration. The registration system featured a custom API to Stripe for easy payment with any major credit card. If the credit card was successfully charged the registration would be processed. If declined, it would alert the user and open a support ticket with the registration team. 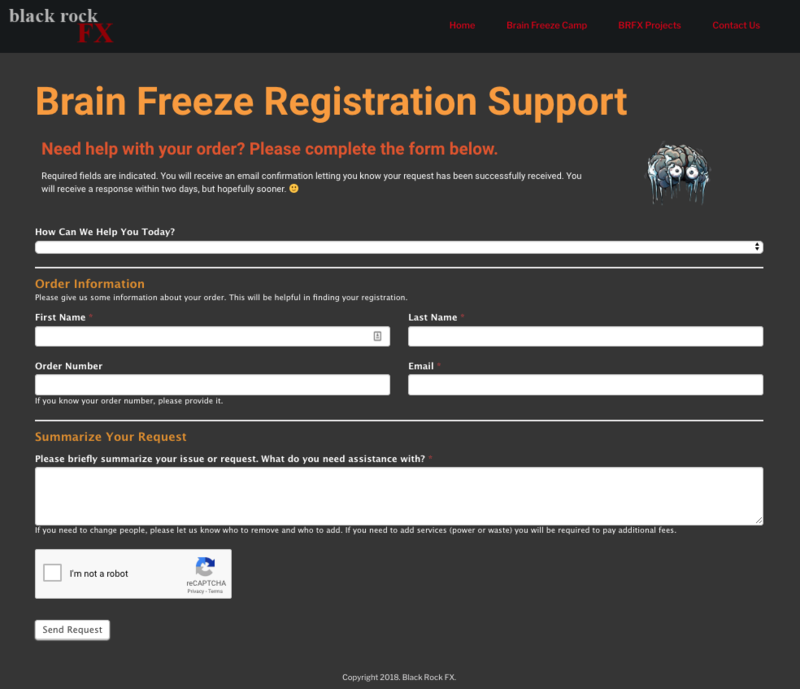 To reduce and better track registration issues we created a support ticket system. The system would allow the user to create a ticket if they encountered any issues. The ticket would then be dispatched to various support volunteers for follow up and resolution. The project included a reporting system which gave the camp leadership detailed reports on all aspects of the registration process.